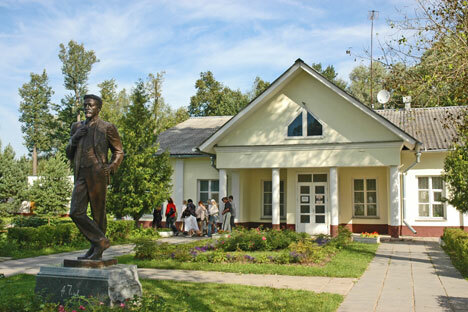 Chekhov’s estate Melekhovo in the Moscow region tells the story of the writer’s countryside life and creativity. One of Russia’s most treasured storytellers, Anton Chekhov, called himself a “Muscovite forever”. But despite his love for the big city he had a long-standing dream – to have a countryside home of his own. And one day, it came true. Born in a not-so-well-off family, he realized his ambition of being a landowner at the age of 32. He bought the estate of Melikhovo, some 50 kilometers south of Moscow, in 1892. For the next seven years it would be his home and an inspiration behind some of his most famous works. By the time he got the property, Chekhov had long been the economic mainstay and unofficial head of his family, so he moved here together with his parents, sister and younger brother, and enthusiastically started to develop the residence. Autumn is perfect for long strolls. The museum offers special walking routes around the area. So what better place to offer a taste of Chekhov than his favorite estate?